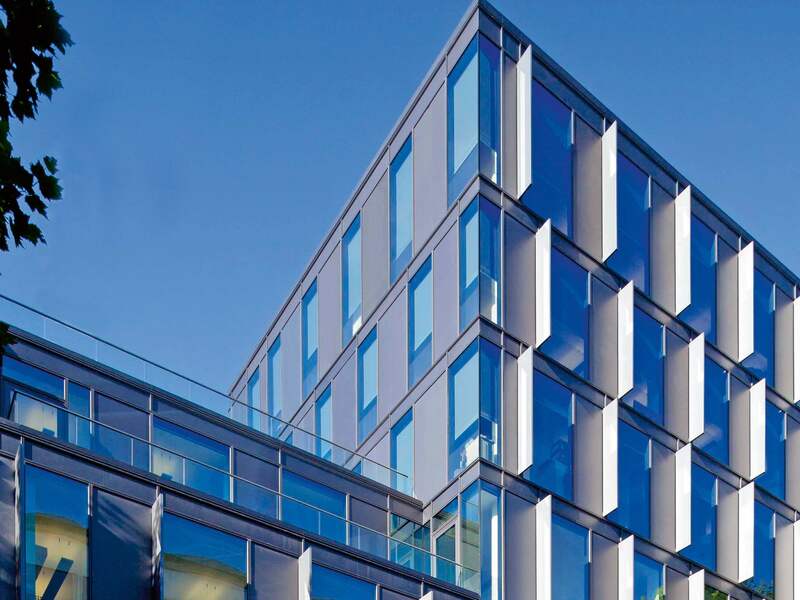 Metalline's Ultima aluminium insulated panels are constructed from an A1 non-combustible material and are available in a wide range of sizes and finishes. 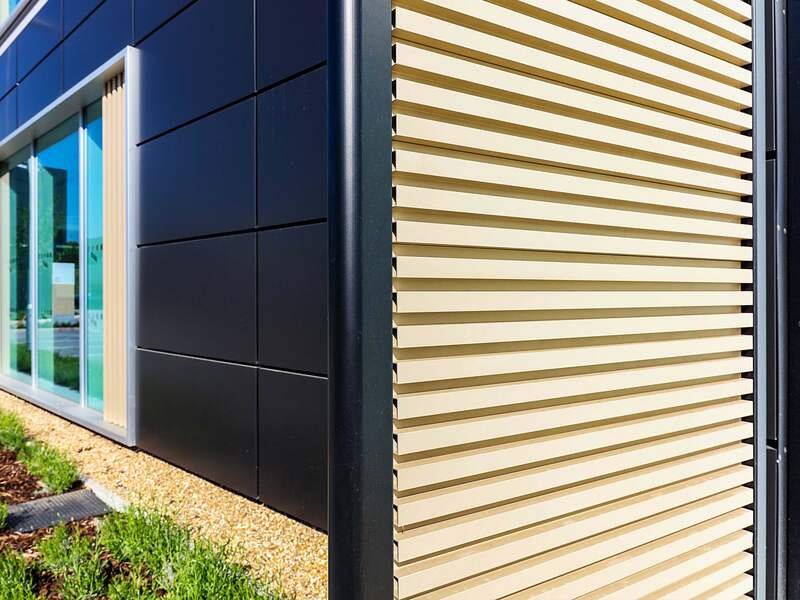 Our aluminium insulated panels are available with either an anodised finish in Natural Silver, Bronzes from light to dark, Black, Regency Gold 1 & 2 and specialist Anolok anodising II Blue-Grey and Stone-Grey colours. 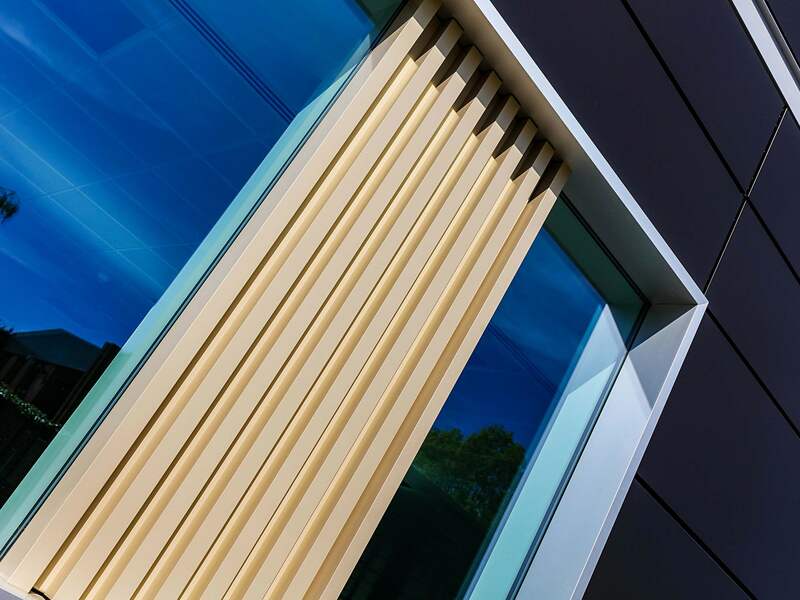 Our insulated panels can be specified with straight edges for conformity with existing brackets or to meet a bespoke façades curve. Advice on how to meet specific U values to comply with thermal performance requirements can be given by our technical team. A key requirement for many projects is fire resistance. 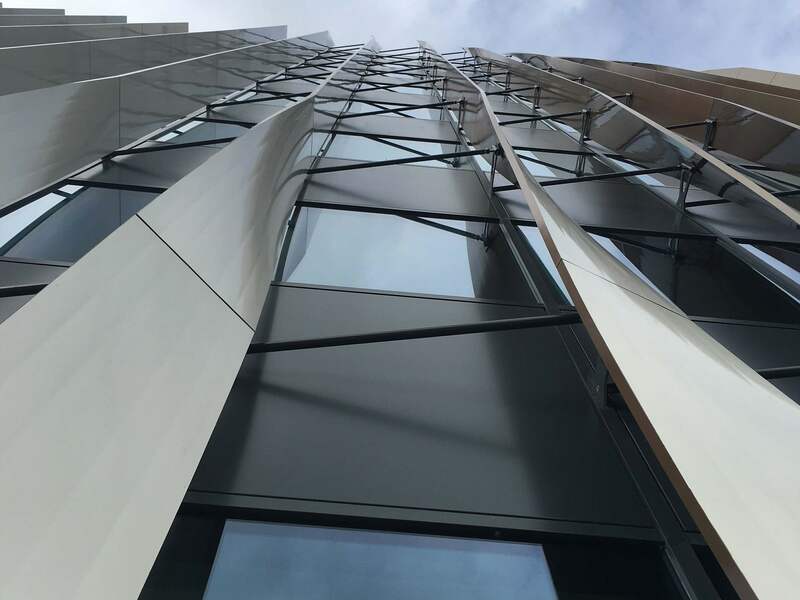 Our Ultima panels are constructed from a A1 non-combustible material and have been independently tested to BS476 for fire performance at The Warrington Fire Research Centre, with fire ratings including 30/30 and 60/60. A selection of specific facings and core materials can be incorporated to project specific requirements. 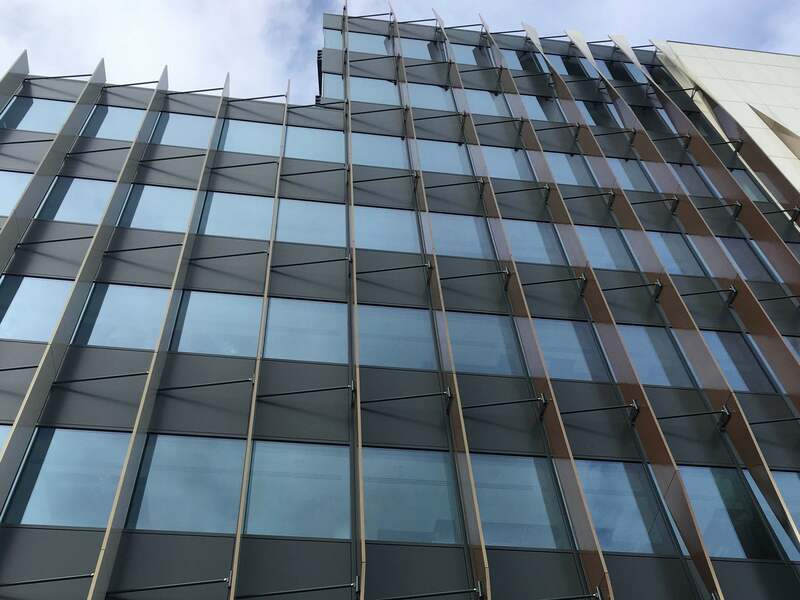 BREEAM is the world’s foremost environmental assessment method and has become one of the most widely recognised measures of a building’s environmental performance. Metalline supplies a range of A rated insulation materials to suit a variety of specifications. Ultima panels can be specified to meet specific acoustic performance criteria. Using insulation cores tested by The Sound Research laboratory Metalline can produce aluminium insulated panels for most environments. 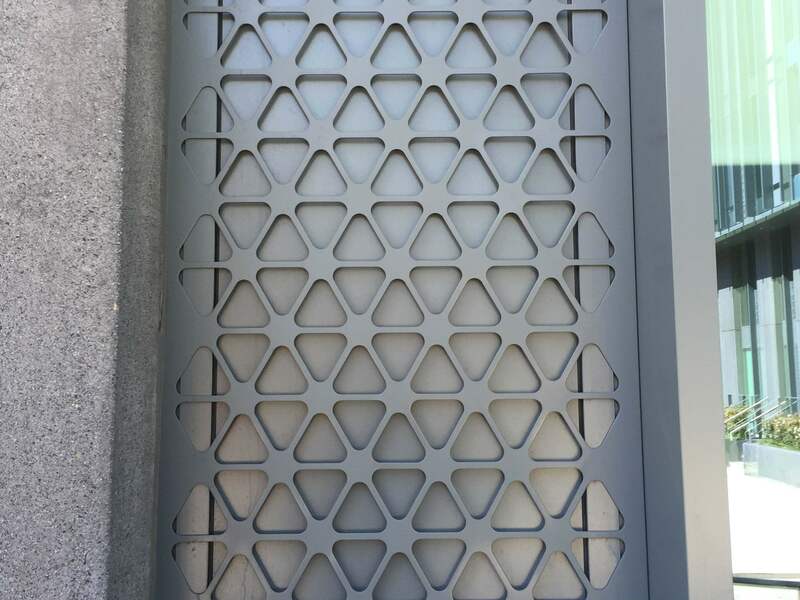 They have been successfully specified on buildings in high noise areas such as airports, city centres and industrial environments. Independently tested by Wintech Engineering, all metal facings are pressure bonded to the insulation core using an adhesive which can withstand temperatures -40°C to 140°C. If you are interested in Ultima aluminium insulated panels, then please contact us today on sales@metalline.co.uk or 01543 456 930. 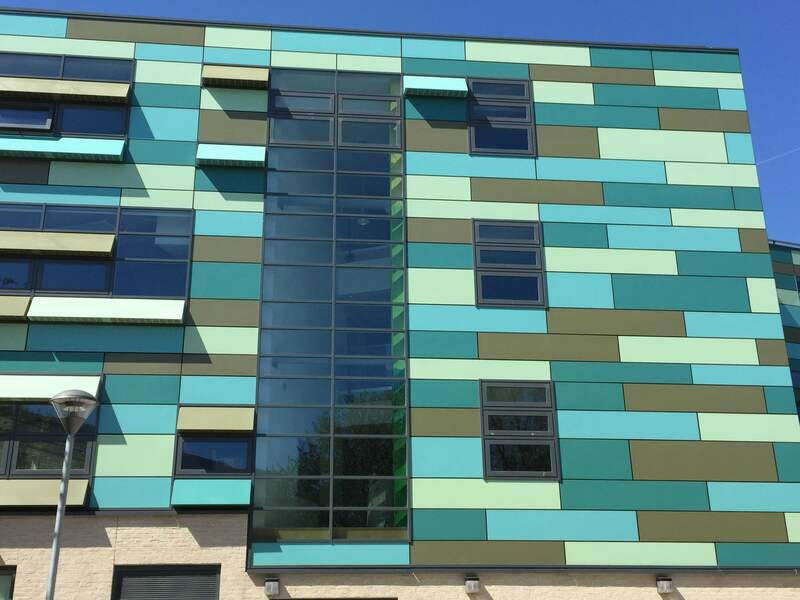 Metalline glazed in Ultima insulated panels have provided the finishing touch to the external façade of the recently refurbished council offices in Eastleigh Hampshire. 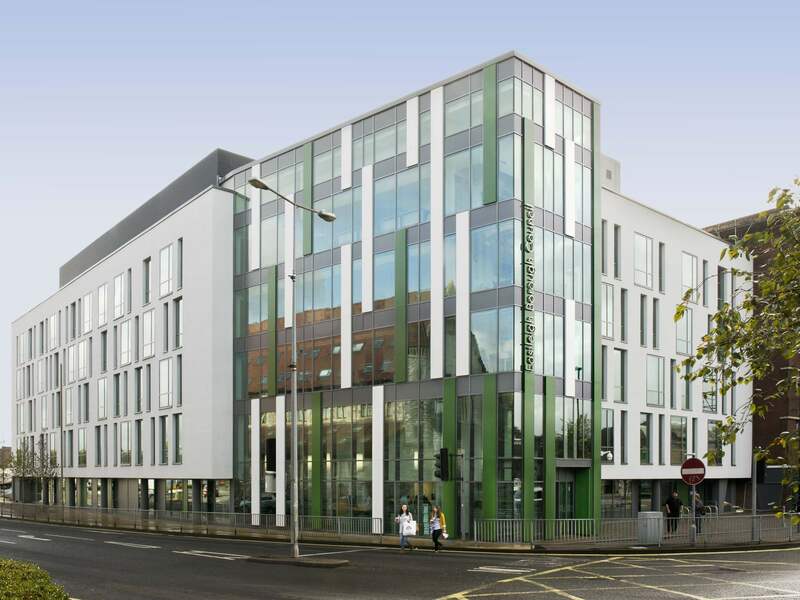 The refurbishment has turned a dilapidated 1970's office block into a 'BREEAM Excellent' building with a bright and airy interior and a visually stunning exterior that has created an iconic landmark within Eastleigh city centre. Designed by architects Studio E, the BREEAM Excellent rated building features over 2,000 panels in varying lengths and depths up to 4500mm and 800mm respectively, finished in four different RAL colours The company also supplied a range of ventilated Bird’s Beak style panels, pressings, copings and cills that further added to the overall aesthetic of the building’s façade. 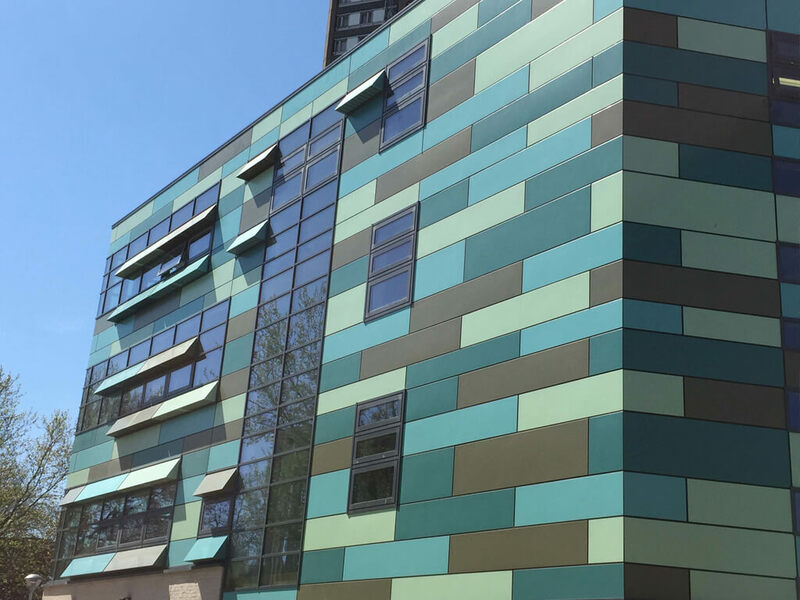 Metalline has received top marks for the finish to the external façade of the Kensington Aldridge Academy in North Kensington.